Clear walls = Clear mind! This reminded me of an ongoing conversation that I have with teachers. Not just about tidying classrooms (don’t get me started on cables!) – but about their walls. It always seems to me massively counter-intuitive to suggest that classroom walls should be covered in stuff. Over the years I have argued with many head teachers who were convinced that every spare space of wall should be covered in, well, something vaguely connected to learning. Lists of things to have; topics to be covered and how it should be set out. This year when I planned my classroom I asked the children what they wanted on the walls – what they liked, what they used and, importantly, what they remembered with their eyes closed. Their current classroom is pretty typical – lots of grammar and punctuation hints (Y6) – topic ‘best’, maths working wall etc etc. Those children who are coming to my classroom last year requested three key things. 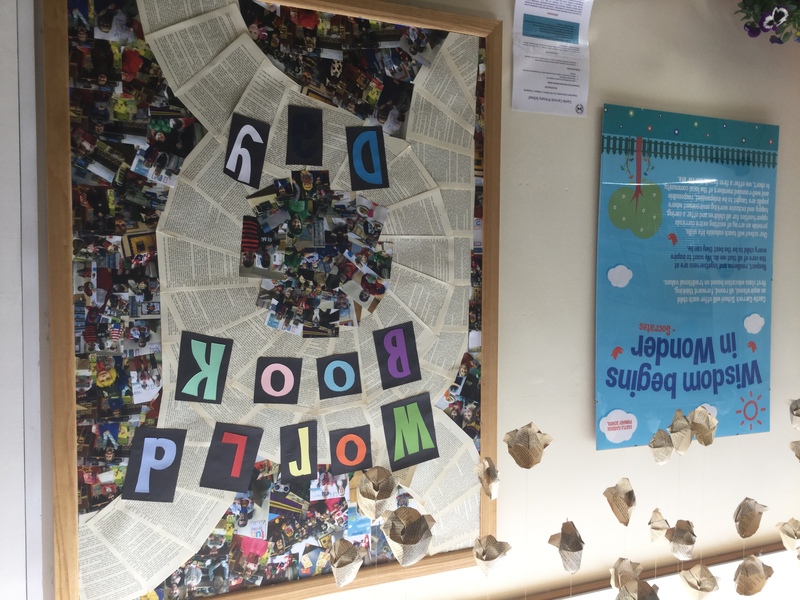 Firstly they wanted their own space – in the school library we have a ‘proud of’ space for each Y6 – and they really, really liked this. I use it as a kind of ‘blog’ area. They wanted words up that they can’t spell. Tricky this, as every child will find different words helpful, but they told me they can manage to keep it updated… Y6 also wanted grammar… same reason I guess. Finally they liked the ‘polished’ displays… and we’re proud of their work on them, and they wanted to keep those. Interestingly, not everyone, but enough to warrant me mentioning it! Everything else… they were not bothered. For me, I need a working wall, they might not remember it afterwarss, but somewhere to display the process we are working through is very useful during lessons and it certainly helps me organise my planning. And finally, a special mention for the interactive display screen which they loved! Posted by RS on July 30, 2017 in Curriculum, Teaching and Learning and tagged #displayinspiration, teaching and learning.